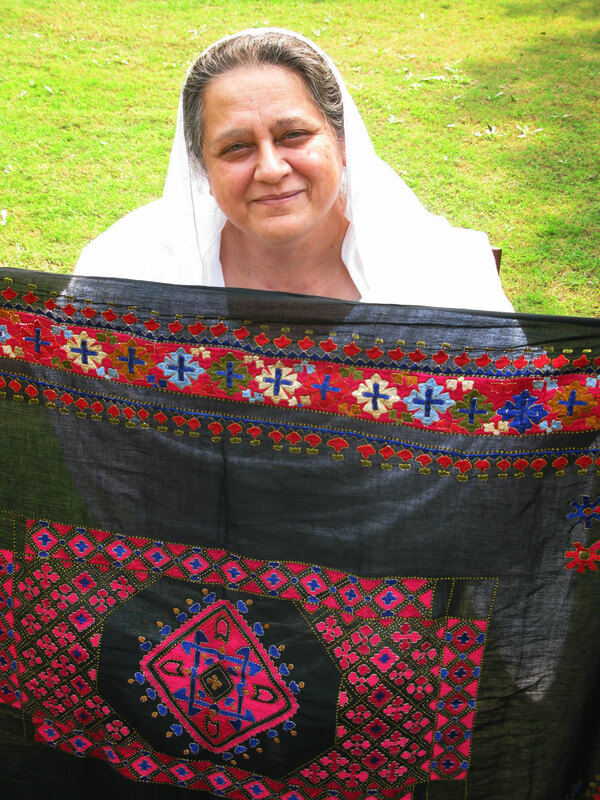 Princess Mussarat Ahmed Zeb displays a piece of traditional Swati embroidery from her collection. The “happy colors” of the embroidery are part of the heritage of a land that has seen its share of sadness. Ahmed Zeb is reviving the heritage of Swati textiles while giving women in the war-torn region of northwest Pakistan a way to make a living. A valley in the northwest corner of Pakistan renowned for its serenity has seen only turmoil in recent times. Taliban militants gradually took over Swat Valley three years ago, beheading local leaders and burning girls’ schools. An army offensive to oust them last year displaced 2.5 million people. Epic floods in Swat Valley this summer brought death and vast destruction. But in the shadow of the tumult, a princess has toiled to return a touch of beauty to the troubled valley. “I’m working on the revival of the Swat stitch,” she says, sitting amid of piles of vibrant embroidery. When the Taliban started terrorizing the valley, Ahmed Zeb started training hundreds of women in the dying art of Swati embroidery. The electrifying colors and distinct designs are a legacy of this once princely state. “Now this is called a punjara, meaning cage,” the princess says as she fingers a vivid black cloth with shocking pink and royal blue geometric shapes. A woman depicted as a flower sits inside the cage. “She’s the center of it and this is her life. There is no outlet to it. She’s a prisoner,” Ahmed Zeb explains. It’s a “very old” image in Swati embroidery, according to the princess, dating to the time of her great-grandmother, the Empress of Swat. As Ahmed Zeb unspools the meaning of the motifs, she recounts her own story of becoming a princess at the tender age of 14. A chance meeting changed her life when a car belonging to Prince Miangul Ahmed Zeb broke down near her home. “I came from school to my grandma’s house, who was his aunt. He saw me, and that’s the end of the story,” she says with her signature throaty laugh. A photograph in her memory-filled house reveals what captivated the prince. 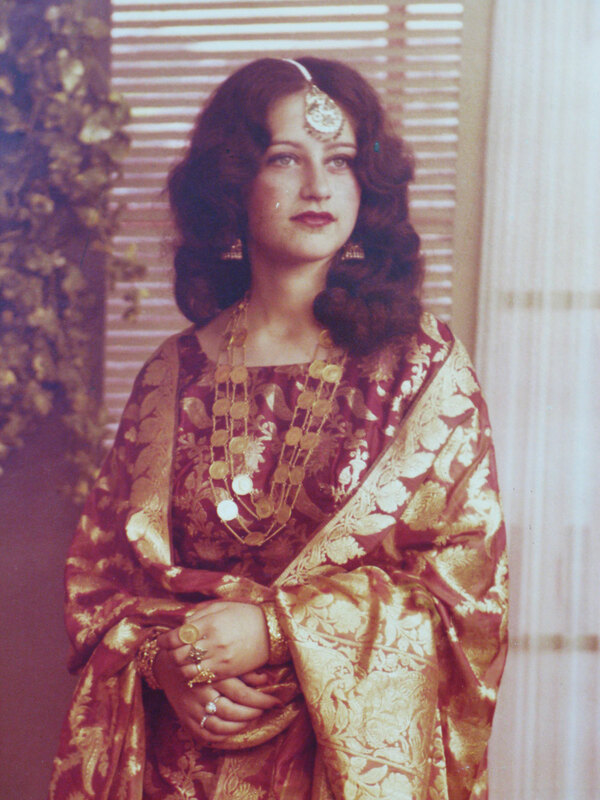 Staring down from a frame above a mantel is a voluptuous redhead with blue-gray eyes — Mussarat on her honeymoon in 1976. She married the son of the Wali, or ruler, of Swat, a prince 16 years her senior. She says he wouldn’t wait for her to finish the 10th grade. Enlarge Courtesy of Mussarat Ahmed ZebAhmed Zeb is a princess by marriage. Her husband, Miangul Ahmed Zeb, was 16 years her senior when she married him at age 14 in 1976. In this photo, she is on her honeymoon. She says he was “a good husband” and “a gentleman.” He died in 1986 under mysterious circumstances, leaving her a pregnant widow and mother of three at age 25. “Before that I was in a boarding school in a convent,” Ahmed Zeb says, describing her naivete. The nuns didn’t speak of makeup, let alone marriage. “I didn’t know what it was. But I had a good husband. He was a gentleman. Men like him are very rare,” she says. The prince was shot dead in Swat in 1986 in circumstances still shrouded in mystery. At age 25, Ahmed Zeb was a widow with three children and one on the way. The trauma is painful to recall even decades later. It was another widow, a poor widow, who inspired the princess to open a training center where destitute women of Swat could learn the art of stitching — and make money. The woman’s husband had belonged to the local Taliban that wreaked havoc on the area. “Her husband got blown up. I never went into detail. For me she was a widow with children,” Ahmed Zeb says. When the woman approached the princess for help, she offered her the choice of getting a monthly stipend or getting a job. “Her eyes lit up,” Ahmed Zeb recalls. The Taliban widow wanted nothing more than to earn a living. “It was then I said, ‘Start something.’ She’s not the only one. There’ll be lots of women like her,” Ahmed Zeb says. Women flocked to the princess as much for her conviviality as for her courage. In 2007 she returned alone from Islamabad to the Swat Valley as it fell under Taliban control. The militants left her alone, despite her distinctly un-Taliban activity of teaching women a trade. “Maybe I was lucky. Maybe I kept a low profile, but yet everybody knew,” she says. 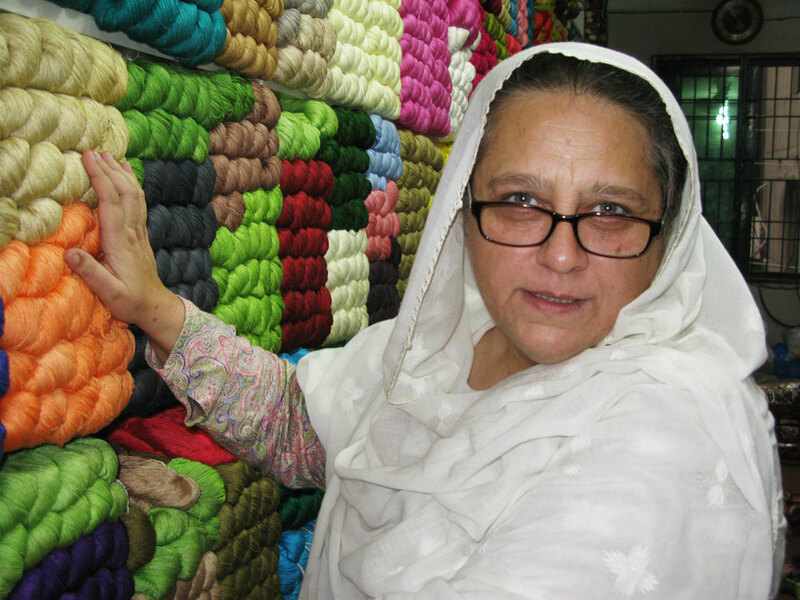 Ahmed Zeb’s vocational institution, Ladore — it’s named after a rare herb from the Swat Valley that was one of her husband’s favorites — has expanded to three centers. One occupies one wing of a large, comfortable home she inherited, one of the royal family’s private properties. The original fixtures and walled gardens of the home in Saidu Sharif, the old capital of Swat, are a throwback to an era before Swat was merged into Pakistan in 1969. On the sun-dappled lawn, Ahmed Zeb displays the embroidered heirlooms passed down to her from her grandmother, the sister of the second Wali of Swat. “Just to hang them on the wall, one wouldn’t tire of looking at it. It’s like a beautiful painting,” she says admiringly. It’s a Renaissance of turquoises, pinks and greens as the women of the workshop replicate the complex pieces and much more. Merchants and tourists buy the beautiful fabric, and the women can earn up to $150 a month, a decent salary in the area. Ayesha Faisal Hadi, 32, is fully committed to her work, but her family resisted at first. 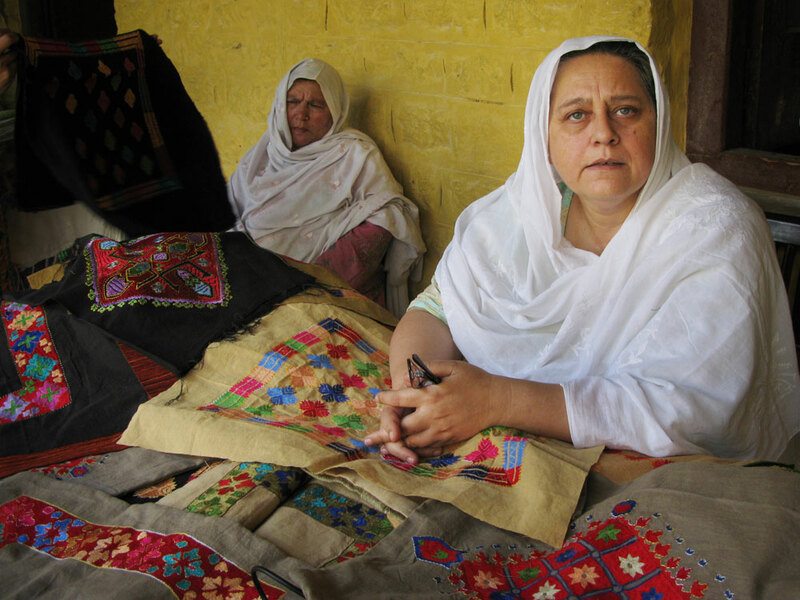 She had to convince her husband that the embroidery work she is doing from home is not an affront to Swat’s conservative Pashtun culture, which prefers that women not leave the home. Her goal now is freeing her two young daughters from the “cage” that she says has them entrapped. She explains how her brothers enjoyed the full benefits of education while she was deprived of the chance to earn a university degree. “Had I been to university I would have a better job now,” Hadi says. The women who gather at the vocational center are grateful to Ahmed Zeb and say this royal with unorthodox ways changed their lives. The self-employment, embroidery, knitting and stitching, has not only provided a livelihood but has been therapeutic as well. In transforming the lives of others, Ahmed Zeb has transformed her own. In Lahore, she careens through the wholesale market of the Old City, directing rickshaw drivers and stocking up on raw materials to take back to her women in Swat. This once stay-at-home royal mom has become an intrepid entrepreneur and bargain hunter. “It’s like a treasure hunt,” she says. Perched on a stool, glasses balanced on the end of her nose, the princess combs through the merchandise on offer and works up a sweat negotiating for a better price. But the merchant who supplies her colorful threads requires no haggling. It’s all affection when the princess assumes her position at Najaf Traders. “They are the best, the best,” she adds for emphasis. From the well-worn landing in the shop she inspects the riot of thread colors that adorn the walls. The owner, meanwhile, bellows for an ashtray for the chain-smoking princess. They have bestowed the title of “Mother” on the princess who is reviving her culture and breathing new life into the traditions of the battered Swat Valley. Hi, Is there any contact information available for LaDore? I tried through the contact form on their site but no response… would appreciate an email or a phone number is possible.